Looming over Granada from a lushly forested hill is the Alhambra, the famous walled fortress that is the reason most people come to the area in the first place. 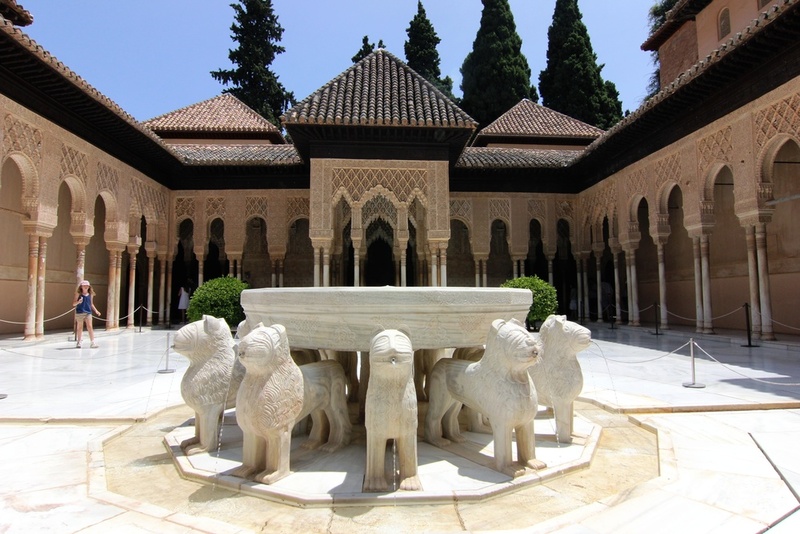 It consists of several independent structures: the Alcazaba (actual fortress), Cristian V's palace, Generalfe palace and gardens, and the Nasrid Palaces. 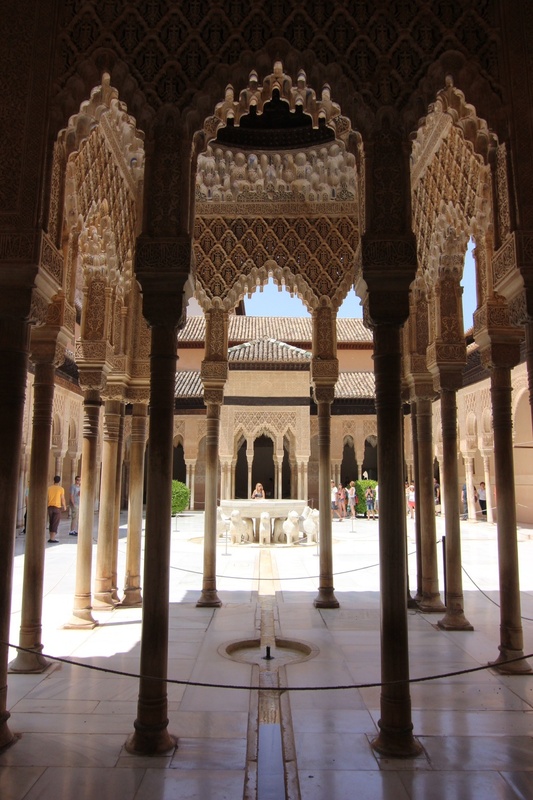 There isn't much to say about it that hasn't already been said about the intricate Islamic architecture, the magnificent views and majestic gardens. Once you set foot within the compound it quickly becomes obvious why it was a candidate for the Wonders of the World. The highest praise I can give is that it's one of the few places that "you have to go to" that was actually worth it; I stayed for nearly five hours and loved every moment of it.